Go Through your Play Store of App Store and you will find several Chatting Apps. From Facebook to Whatsapp to SnapChat, it’s a frenzy with every App severing a purpose. 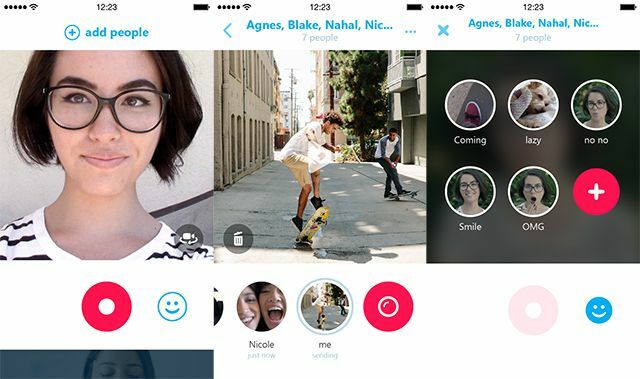 As users trends change from occasional camera usage to Snap-and-Go, Microsoft has jumped into the bandwagon and launched a Dedicated Video Message App, Skype Qik. Qik was originally a Video Streaming App which allowed you to stream videos directly from your phone. It was later acquired by Microsoft and retired. After sometime, Microsoft decided to dust the shelves and bring out the name Qik attached with Skype. Skype Qik is easy is to use since its only made for one purpose, Video Messaging. Install the App and it will verify your no. for the first time. Once completed, you can send videos (max. 42 seconds) to any of your friends who have Qik. You can create groups and converse through videos for everyone to enjoy. An Interesting feature, called Qik Fliks, are 6 seconds videos that you can insert in any conversation (like emoticons). You can Flip between front and back Camera to record videos. If you want to invite a contact, send them a message. They are sent a regular SMS with details to install the App and view your message. There is no Text conversation feature available in Qik so its all videos. These videos are deleted after 2 weeks and there is no way to save any video in the app. You can delete videos from a conversation before two weeks as well and it will disappear from everyone’s Chat. Having difficulty in finding the right assignment service? We at assignmenthelp reviews have reviewed plenty of the websites available on the internet today. Hope that it will help you in choosing the best one out of all. I want you to review an app from here, can you do that?